Shiner Roofing, Siding and Windows is proud to offer skylights from one of the top skylight manufacturers in the country, VELUX. In addition to providing the most customer-friendly service in the Washington, D.C., area since 1981, Shiner has always stayed one step ahead of the competition in Northern Virginia by offering a versatile array of professionally performed home improvement services. We have completed more than 16,000 projects since our inception, and we are a licensed, bonded, and insured skylight installer in Virginia, Maryland, and the District of Columbia. VELUX also offers the remote-controlled, solar-powered “Fresh Air” skylight, which meets ENERGY STAR® approval guidelines for energy efficiency and may qualify you for a federal tax credit of up to 30 percent. 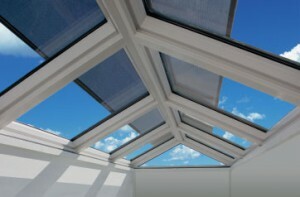 This cutting-edge skylight works on cloudy days and does not require direct sunlight to function. In addition, an integrated sensor signals the skylight to close automatically when it rains. Shiner is proud to be the skylight company of choice Washington, D.C., McLean, Great Falls, Vienna, and communities throughout Northern Virginia, Maryland, and the District of Columbia as a professional skylight contractor. Contact us today to request an on-site evaluation and completely itemized quote for your professional skylight installation.